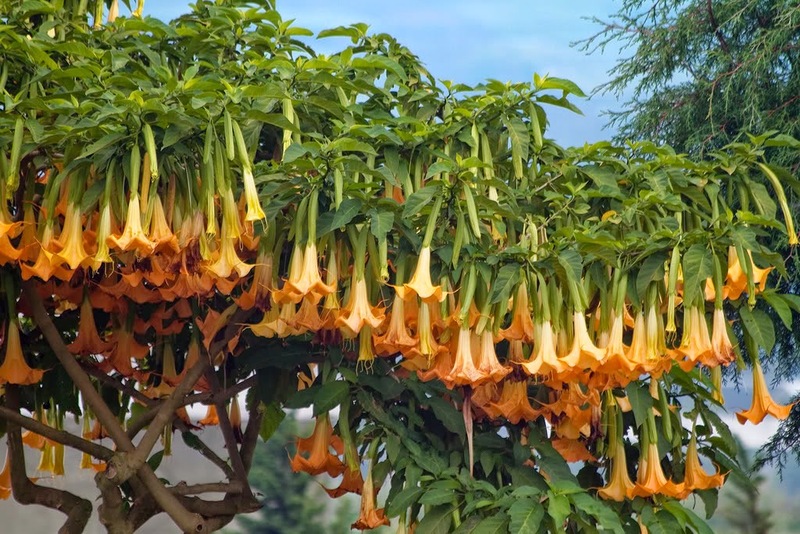 The Angel's Trumpet - Brugmansia species and cultivars, contain some of the most beautiful and exotic of all ornamental flowering plants. Native to the tropical regions of South America they are grown as ornamental container plants across the globe, and have become naturalized in isolated tropical areas including Africa, Australia, and Asia. 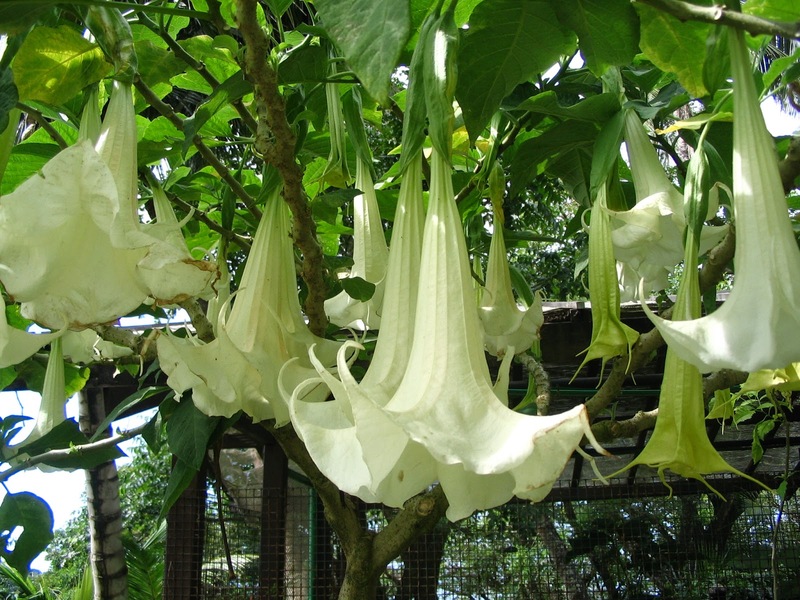 The Brugmansia genus contains 7 recognised species, all of which are easily differentiated from their cousins the Datura genus from their pendulous (instead of upright) flowers. Perhaps the most popular species is the gorgeous red-orange flowered Brugmansia sanguinea. Native to Mexico, Brugmansia sanguinea is a little smaller than the other species within this genus growing to approximate 4-6 ft in height. It is actually evergreen in its home environment but will be deciduous when overwintered in cooler climates. The flowers are produced from July to August. They will prefer any good quality, rich, well-drained soil in a position that receives full sun. 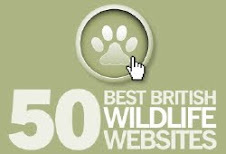 Provide a sheltered position so that they are protected from strong winds, and offer some shade from mid-day sun. Water freely over the growing period. Brugmansia are hungry plants and will need feeding with a liquid soluble fertiliser every week or two up until September. 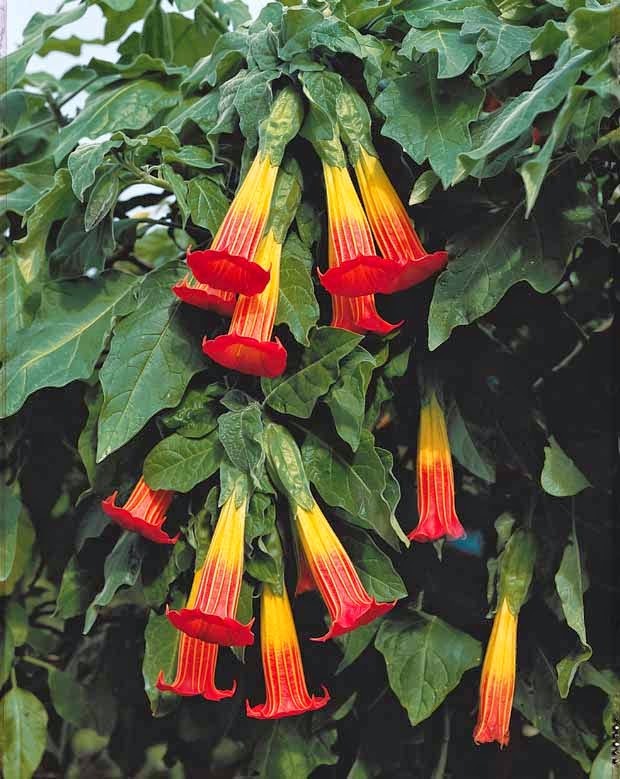 If you are growing Brugmansias in containers then use a good quality compost such as John Innes '2 or 3'. In cooler European climates they will do best planted directly into the soil in a greenhouse border. 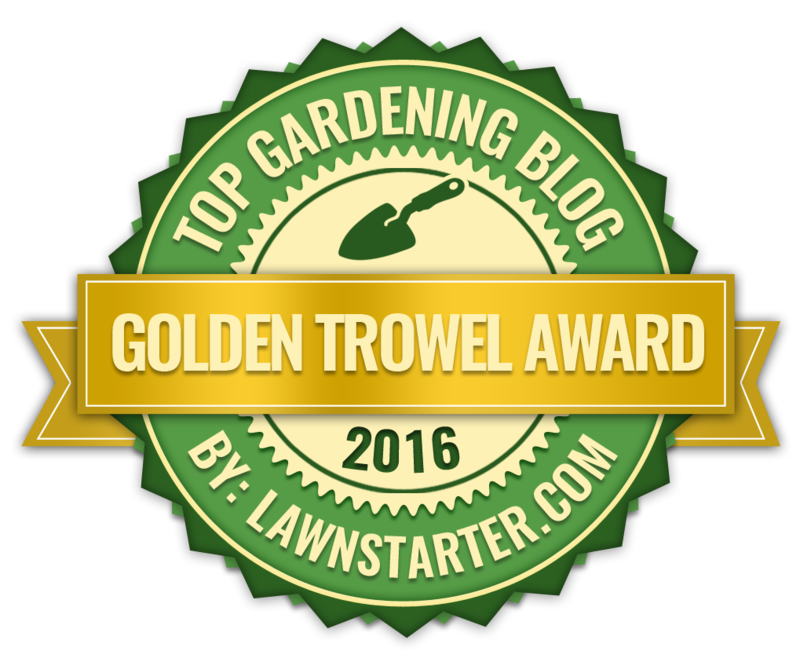 In the spring and summer ventilated freely and keep the compost well-watered. During the height of the summer you may need to provide some light shading. Of course they can be grown outside over the summer once the threat of late frosts have passed. Brugmansias are usually purchased as small pot-grown specimens in the spring. As these smaller plants grow they can be potted on until they finish in 10-12 inch pots. They are best grown as shrubs pruned back hard, but they can also be grown as small standards. Allow the plants to reach their required height before pinching out the growing tip. This will encourage the formation of lateral growth. You will be looking to achieve a 4 ft trunk. During the winter the plants will need to be brought under protection. Prior to bringing in you will need to encourage the plant into dormancy and you can do this by steadily holding back on the water in the Autumn. Once the Brugmansia has dropped its leaves keep on the dry side of moist but do not allow the root ball to become complete dessicated. Keep the plants cool at a temperature of 7 degrees Celsius. When new growth appears in the spring watering can be slowly increased.